This Catback system features Megan Racings drift spec exhaust style. Drift racing is a sport that demands a vehicles maximum performance and maximum reliability while being put through extreme conditions. One of Megan Racings strongest products, this Catback system is made of T-304 stainless steel with a fully polished surface, CNC machined flanges, and mandrel bends. Its aggressive styling and deep, strong tone are inspired by drift racing. It also serves to improve horsepower, torque, and overall performance with its straight-through design. 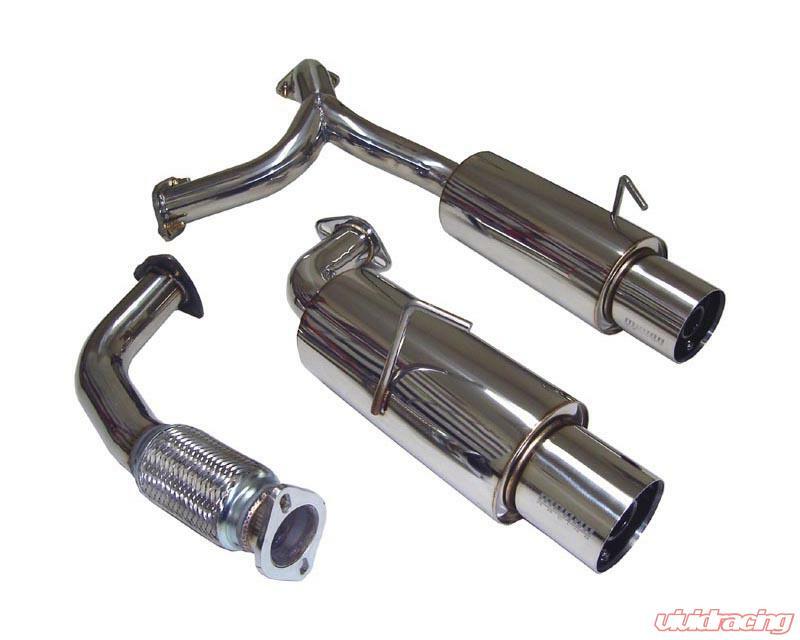 The exhaust is angled upward and outward to give a more aggressive look. The direction and angle of the exhaust varies depending on each car and bumper design. Finished with a tip that is designed to increase the scavenging effect and achieve maximum performance, Megan Racings exhaust is a perfect addition to exterior styling.